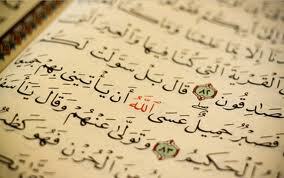 Verily, in Yusuf and his brethren, there were Ayat for those who ask. Allah says that there are Ayat, lessons and wisdom to learn from the story of Yusuf and his brothers, for those who ask about their story and seek its knowledge. Surely, their story is unique, strange, worthy of being narrated. The Jews who inquire about his story, poking and prodding it to find the slightest deficiency in it’s miraculous nature should have submitted due to the truth they found in it; yet they stubbornly turn away. To really understand the gist of this amazing story, we need to try and put ourselves in the shoes of these characters. We need to imagine for a few moments that we are a part of these people and live amongst them. The most important aspect to remember is that Yusuf ‘alayhissalam had an amazing relationship with his father that the brothers were jealous of. Instead of talking to him about it, they decided to take dangerous routes to get rid of him. When they said: “Truly, Yusuf (Joseph) and his brother (Benjamin) are loved more by our father than we, but we are ‘Usbah (a strong group). Really, our father is in a plain error. A literal meaning of ‘Usbah is a group of rebels in political regimes that contradict the opinions of the majority and cause disharmony. Also, it could literally mean a strong group of five to ten people… but there are twelve brothers! It is as though they disown Yusuf and his brother from themselves by not mentioning them as part of their group! They take pride in their strength and cannot understand why their father loves the other two more. They believe him to be misguided and on the wrong path. We don’t know who said this from the brothers according to the Qur’an, but scholars of Tafsir say that it might imply they all said it together. So they begin to study the matter and consider the idea of killing him; Shaytaan made it simple for them and they believed that after committing such a horrendous crime, they will come out of it unscathed and repentant! This is one of the most deceptive tricks of Shaytan; he beautifies an evil deed and promises safety after it; but nothing but regret and remorse follows such actions. This is one of the most profound lessons and if there was one thing we walk away with, it should be this understanding: they intended repentance before committing the sin. Their jealousy and love for their father’s attention made them take drastic measures and think of the most evil of ways to treat a younger brother. This is unhealthy love that wasn’t based on correct intentions and deeds. The word “Qatl” means to kill, and the first crime ever committed on Earth was murder due to jealousy. They are now thinking of the same route. A little less drastci then would be to “cast him out to another land”, but it is still a horrendous crime in the right of their brother. The word “طرح” in the Arabic language means to throw trash away far into the land where nobody can see it. “خلوة” is literally privacy and seclusion, therefore, they want to get their father’s undivided love and attention by getting “rid” of Yusuf. “وجه أبيكم” literally means your father’s face. One from among them said: “Kill not Yusuf (Joseph), but if you must do something, throw him down to the bottom of a well, he will be picked up by some caravan of travelers. Do not let your enmity and hatred towards him reach this level of murder. One of the brothers spoke out and said, “Don’t kill him,” but just throw him into a well, meaning that he was still angry at him but did not want to take drastic measures for it. He told them to throw him into a concealed well that is far from civilization. The word “يلتقط” comes from the word “laqata” which is used for things that are abandoned and lost. A “laqeet” is a child that has been abandoned. They decided that instead of killing him and suffering the blame, and instead throwing him out into an abandoned land, they should just drop him into a well so that a caravan of travelers might come and find him. They don’t really care about what might happen to him, but for the sake of their own conscience, they decided to do something a little less drastic. In conclusion, jealousy blinded their sick hearts and they hardened towards Yusuf ‘alayhissalam. He was a little boy in the tender age of needing the care and attention of a father. His situation was that of a growing tree that needs to be watered and trimmed until it reaches full maturity. This realization did not stir their stone hearts and they put on a deceptive mask of care and love for Yusuf while they meant him enormous harm. They forgot their humanity and put on a cloak of animosity; fingers to claws and teeth to jaws, they pounded on the innocence of this young boy all in the name of jealousy. The next part will explain the tactics they use to put their plans into action.